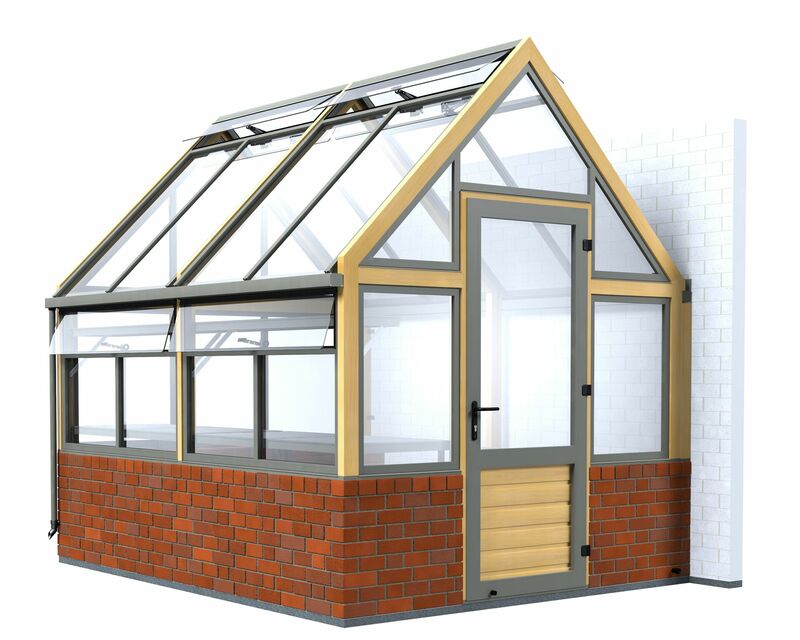 These are available as a glass to ground greenhouse, a planthouse which has Accoya boarding to staging height or can be adapted to fit onto a dwarf wall. You might also opt to have the structure made in Victorian style with narrow pane centres and Accoya turned finials. 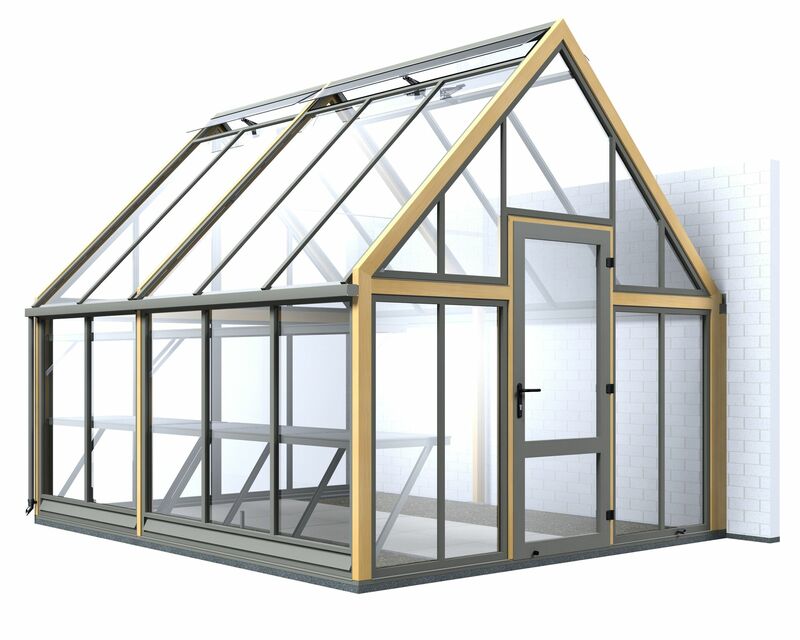 The cultivar range of abutting greenhouses is available in a number of widths and lengths. 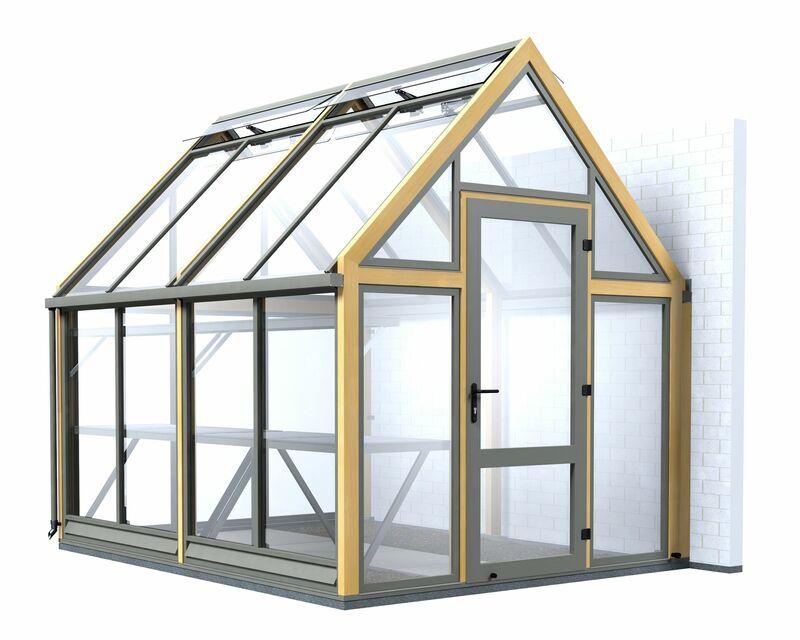 If you take a look at the standard greenhouse range this can be adapted by removing one long side and replacing this with a goal post assembly to support the structure along the wall. 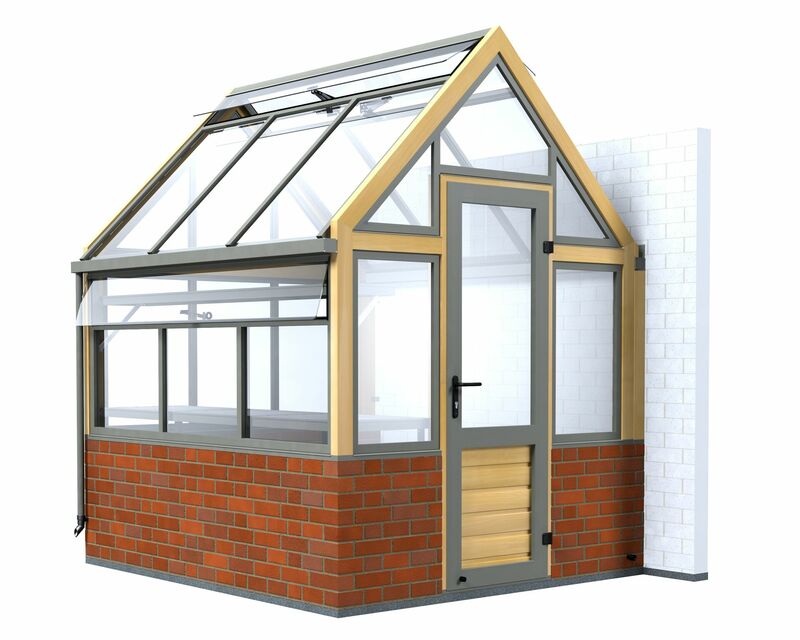 Like the three quarter greenhouse range this will allow you to grow plants up your wall and this will leave the other side free for staging and shelving. 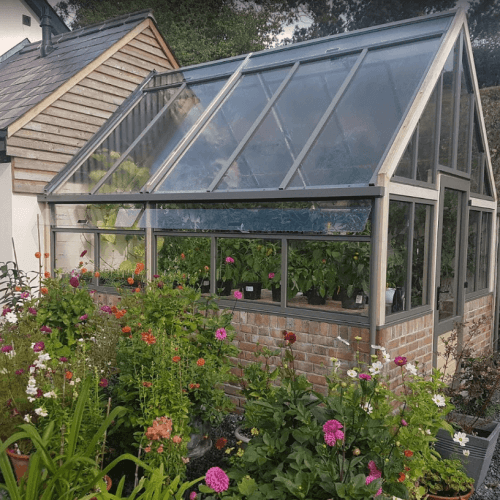 When planning your abutting greenhouse you will need to specify which end you want the door and at which end you want the downpipes. 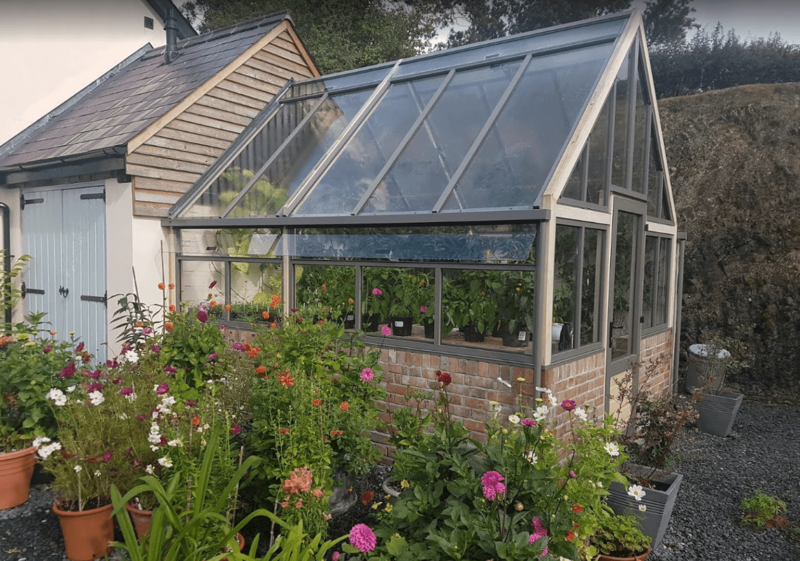 Longer greenhouse models will require a downpipe at both ends. 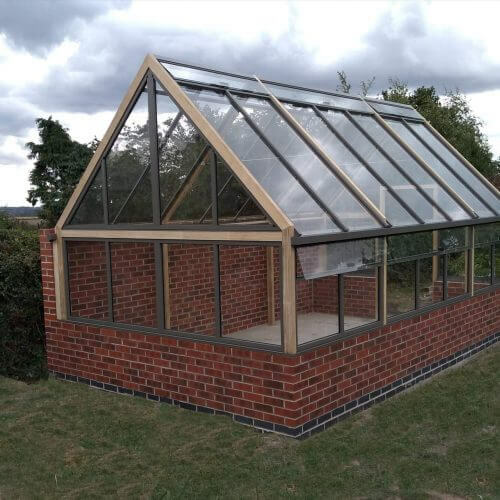 As with all our greenhouses the base construction is the responsibility of the customer. 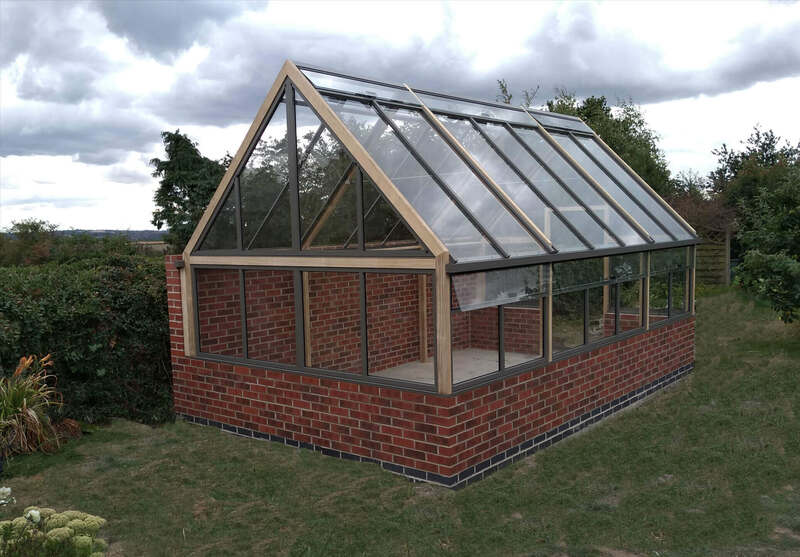 We will provide detailed plans to aid the construction which will also include details where the greenhouse sits against the wall. 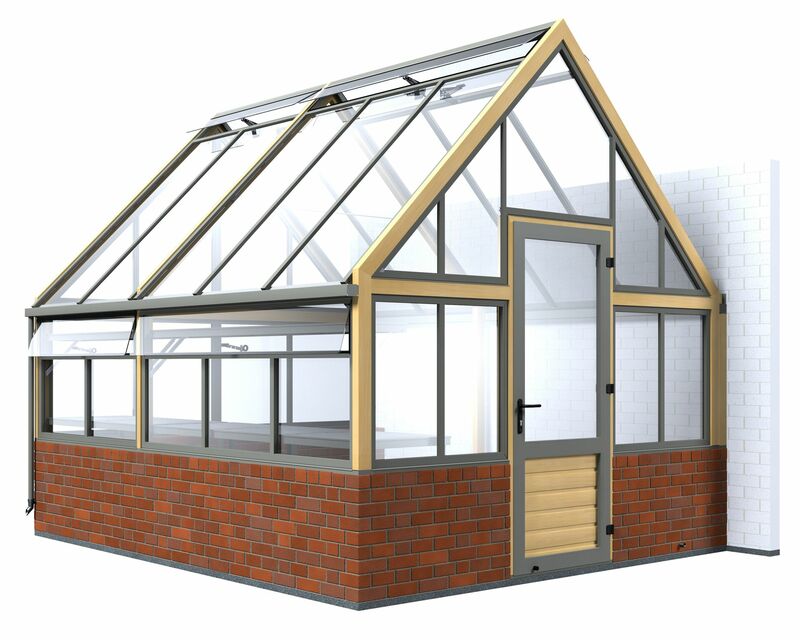 It is also possible to abut our greenhouses at the gable. Essentially the plain end of the structure is removed leaving only the framework to be fixed directly to your wall. 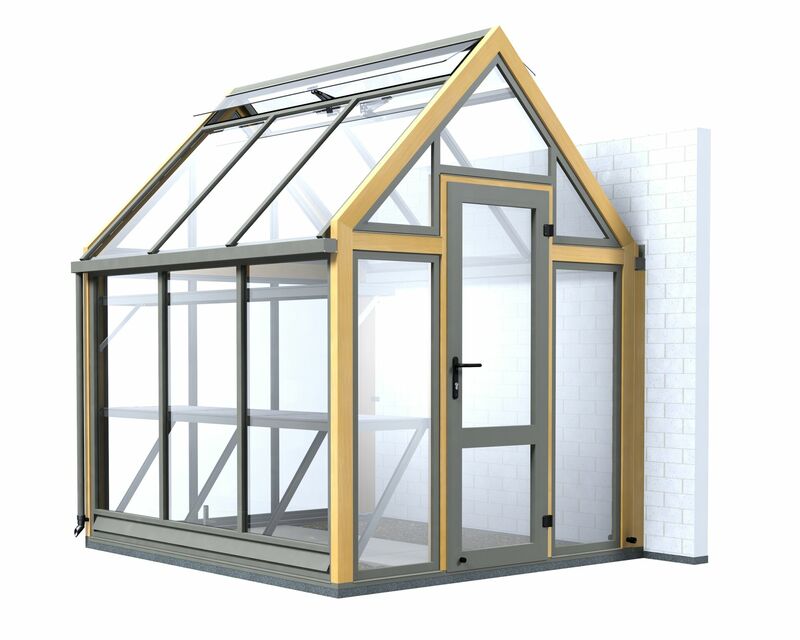 With this option due to the additional height afforded it is possible for a door to lead into the greenhouse directly from the house say. 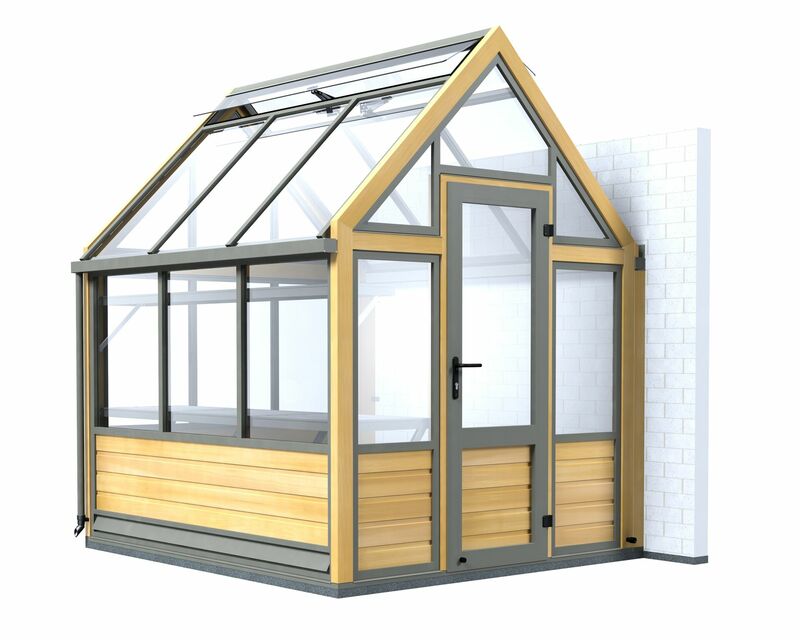 If you’re looking to utilise a bit more height on your wall then perhaps the three-quarter lean-to range will suit your needs. 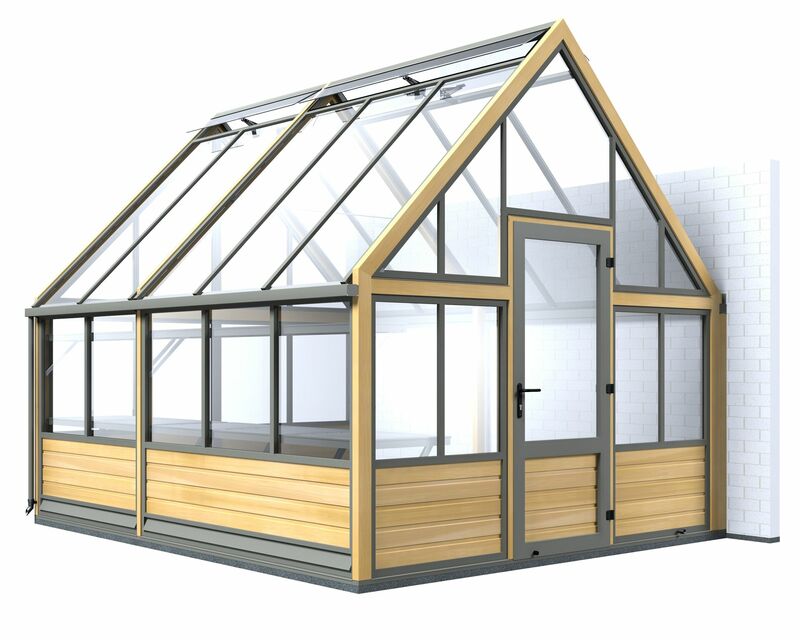 These are available in two widths and like the abutting greenhouses can be extended on a modular basis. 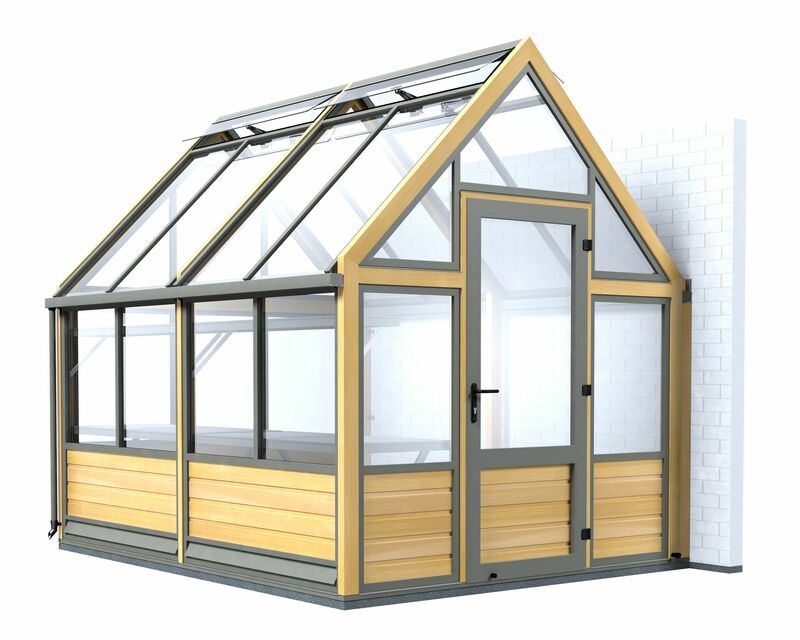 You specify which end you would like the door, you can of course have a door at both ends which is not uncommon on larger lean-to structures.